The brochure is dated September 1941. I wonder when Carey started running airport expresses into Manhattan? 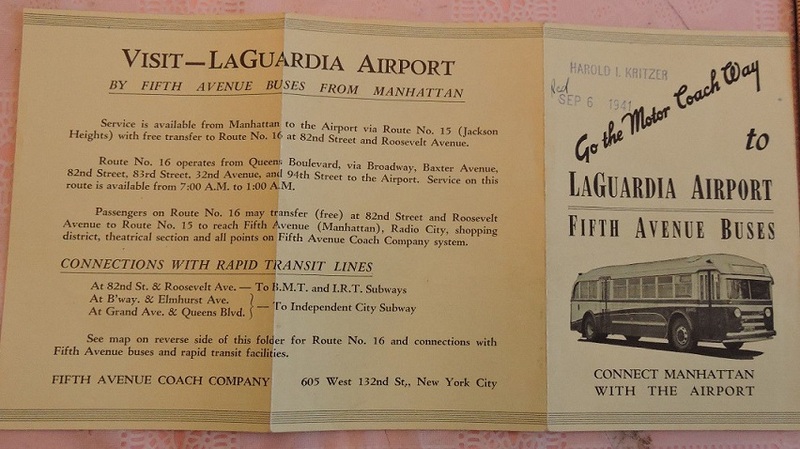 This service to La Guardia Airport - and indeed, the entire #16 route - was ixnayed June 13, 1943 due to wartime restrictions on bus service imposed by the Office of Defense Transportation (ODT). 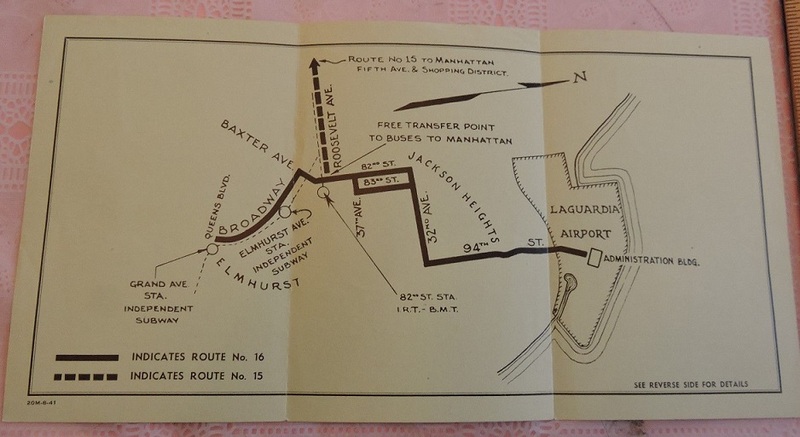 When #16 service finally resumed after the war (in November 1945), its route was cut back to its pre-'40 terminus at Northern Boulevard and never ventured into La Guardia Airport again. And so it remained through successive operators (up to MaBSTOA) and route designations (QM16, Q89) until its final 1988 demise.